No, there isn’t a typo in the title. 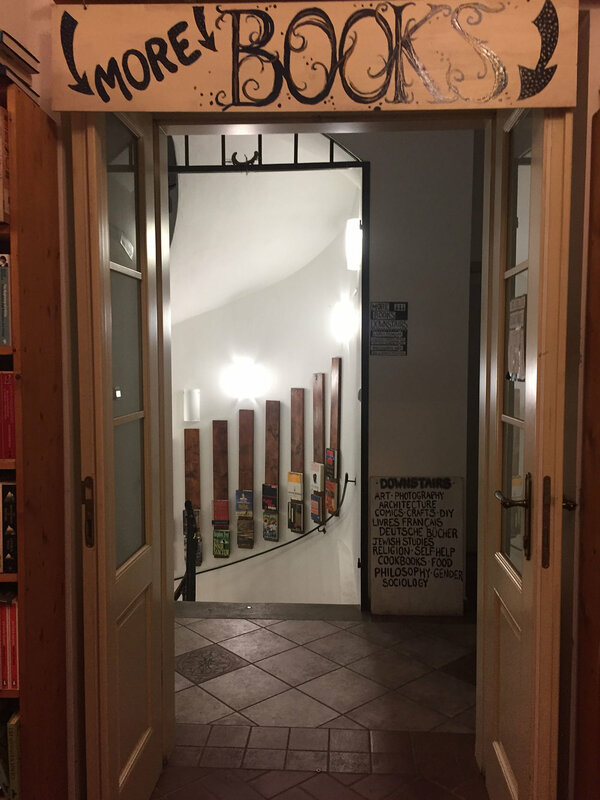 Two of the three easy-to-miss yet notable places in Prague are actually on the beaten path while the third is definitely off of it, but well worth the trip. 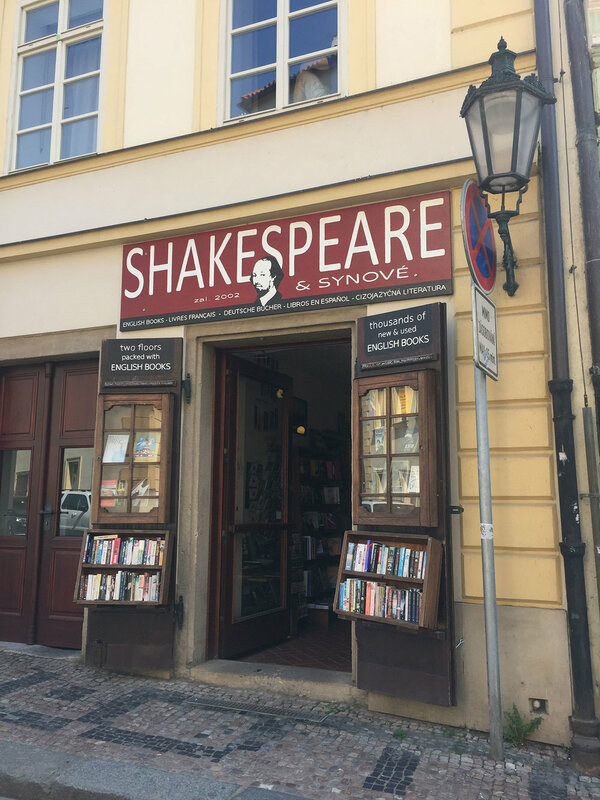 I love bookstores and did not come across this one my first time in Prague even though it is a short distance from the famous Charles Bridge on the Mala Strana side of the Vltava River. Shakespeare and Sons has a large selection of books in English and in every genre. Take a seat in any number of comfy chairs and couches placed specifically as an invitation to stay awhile. No pressure. No stalking. A few doors down from Shakespeare and Sons Bookstore is the Bakeshop bakery. 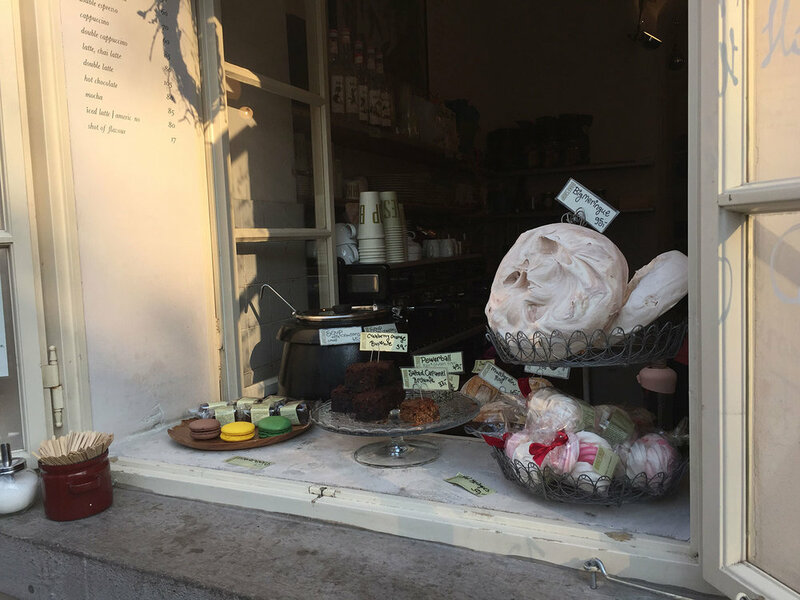 It’s a small place with a few two seater tables and can get pretty crowded but with pastries in the window even the strongest will power will be hard pressed not to stop and have a taste. They serve a wide variety of fresh sandwiches, breads, cakes and cookies. After feeling a bit foolish for taking an enormous amount of time to count out payment in Czech Koruna, I decided to take my AMAZING salted caramel brownie, and headed down the road a bit and found a seat along the river to watch people feed the swans and slowly enjoy my brownie. 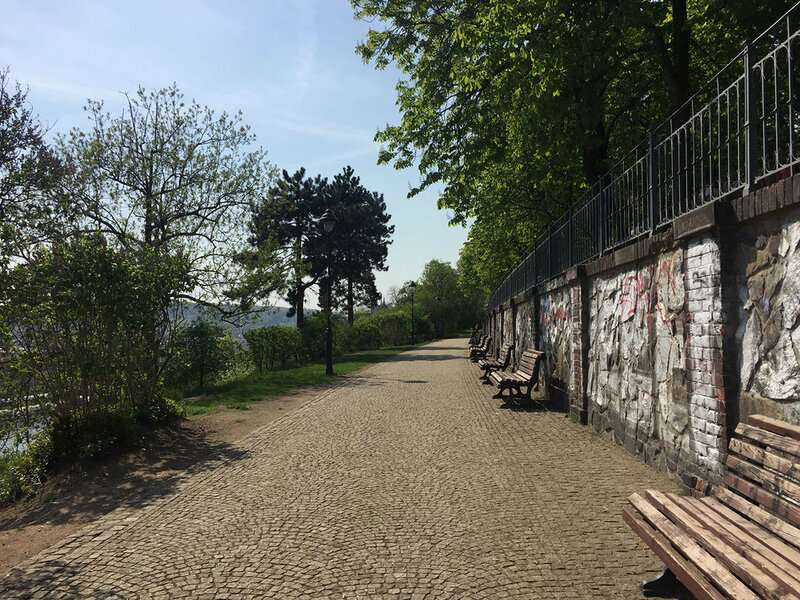 In Letna Park, home to the Prague Metronome, and a 30-min stroll from the Mala Strana neighborhood where the bookstore and bakery are located. The Beer Garden in the less touristy neighborhood of Letna and has panoramic views of the historic city center. Recommended by the Taste of Prague as a place to go to be with the locals (and from the looks I got when I whipped out my camera, he was right, not many tourists). So I stepped to the side and took a quick pick before stowing my phone and purchasing a beer. Sit and relax or walk through the park while sipping your suds. It’s legal!